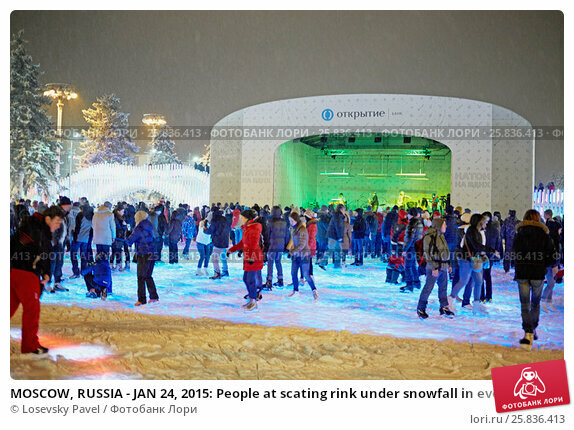 MOSCOW, RUSSIA - JAN 24, 2015: People at scating rink under snowfall in evening time at VDNKh. Ice skating rink at VDNKh is the largest in Europe - an area more than 20000 square meters. Дата съёмки 24 января 2015 г.